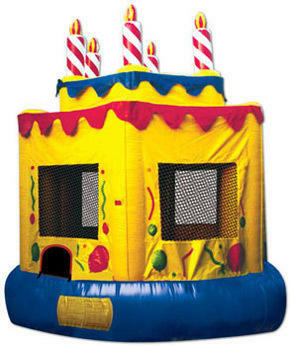 Nothings says Happy Birthday like a big cake bounce house. This inflatable jumper will give your child a clear indication that it is their birthday. Hours of jumping fun in this dry bounce house and this unit can be booked all year long.